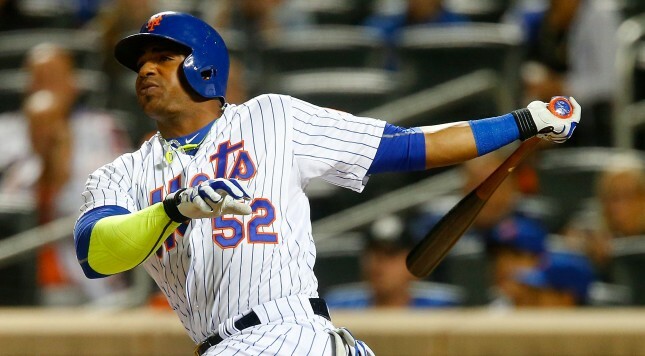 Yoenis Cespedes lifted the Mets on his back and brought them to the playoffs for the first time in nine years. And he did it in his walk year, which you would think would make the world his oyster. And while it’s January 16th and Cespedes hasn’t found a job yet, he does have a 5 year $90 million offer from the Baltimore Orioles on the table. And if he takes the offer, his table will not only be figuratively crowded, but it will be literally crowded … with crab legs. I’m sure Cespedes can negotiate crab cakes into the deal if he so desires. At least that’s what Jimmy’s Seafood offered Chris Davis.